Philanthropy amongst local businessmen during the ninteenth century industrial revolution, was a fairly common characteristic. Our towns are littered with civic buildings and parks given to ‘the people of wherever’ by the ordinary men and women who used their skill and entrepreneurship to build successful enterprises. In some places, such as Saltaire, Bournville and Port Sunlight they built whole communities to better the lives of their employees. Guiseley and Yeadon had three (possibly four, see comments below) big philanthropists; the first was Jonathan Peate (1837 – 1924). 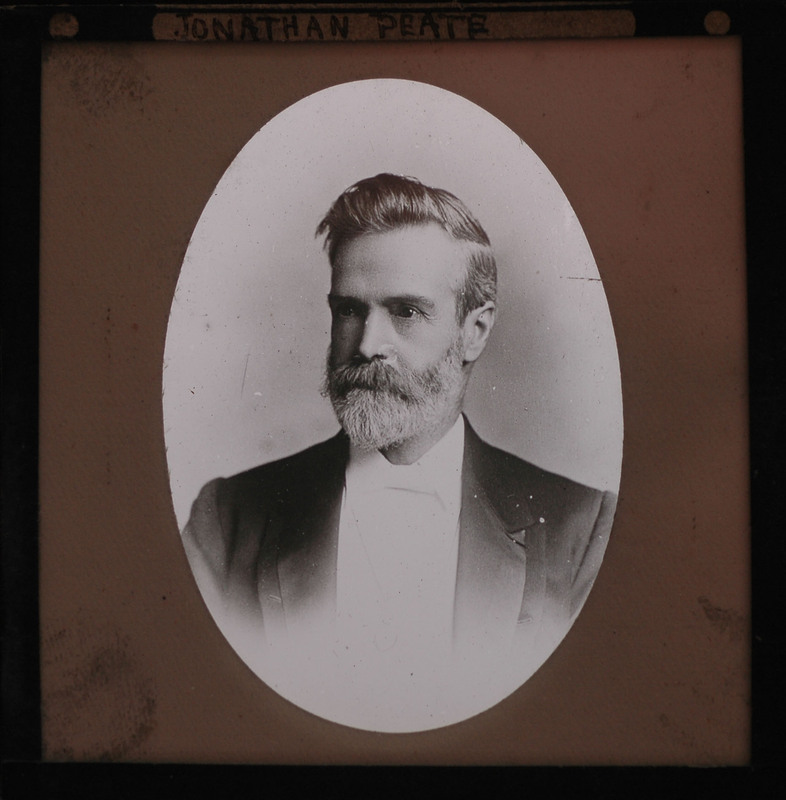 The seventh child of a Yeadon wool spinner, Jonathan built a thriving woollen business at Nunroyd Mills and later Springhead Mills: the proceeds of which he used to help countless local people, to donate both Nunroyd and Nethermoor Parks to Aireborough, and to help fund Yeadon Town Hall. For over 25 years he was Chairman of the local Board of Guardians with the responsibility for helping local people in poverty, and for running the Infirmary at what became Otley Hospital. 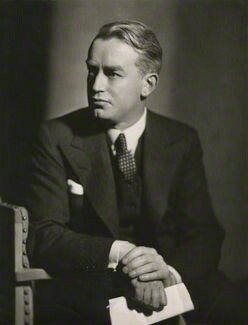 The second two, were brothers Frank (1886- 1947) and Albert (1888 – 1971) Parkinson. The sons of a local small stone quarry owner, they were helped and encouraged by Jonathan Peate in their establishment of electrical engineering company F & A Parkinson; which, as Crompton Parkinson, became the fourth largest company in Britain. The Parkinsons, in their turn, also did their best to enhance the lives of Yorkshire people. Frank donated both the iconic Parkinson Building at Leeds University, and left the Frank Parkinson Trusts for facilities such as the Parkinson houses. Albert, ensured that the Parkinson staff were well looked after and that the works were involved in local life. They both of course donated Parkinson’s Park to the people of Guiseley – but kept it in their own hands, as they had seen gifts to ‘councils’ misused. At Frank’s funeral the eulogy ended with the hope that “his life would be an inspiration to future Guiseley boys and girls”, and a similar sentiment was no doubt expounded at Jonathan Peat’s demise in 1924. Now, in the 21st century, as the great factories of the local economy are being knocked down and replaced by housing developments, that hope is being revived: ‘Blue Plaques’ and renovated facilities are beginning to appear to honour the values of our local heros’. Jonathan Peate lived with wife Ruth at Nunroyd House, and next Tuesday, 2nd October at 11am, will see the unveiling of a Blue Plaque at the gates of Nunroyd House, in his honour. The event has been organized by Aireborough Civic Society and facilitated by Cllr Graham Latty – and all are welcome. The idea for a Blue Plaque came from Rex Learmonth, who was employed at Nunroyd Mills from 1953 until 1970. He has researched the history of the Peate family at the request of his friend Richard Driver (the Guiseley Estate Agent) who was a descendant. Don’t forget Sir Matthew William Thompson of Parkgate, Guiseley. He was without doubt the most important philanthropist for Guiseley, yet is now almost forgotten. Indeed Ken: do you know much about him. If you do, it would be great if you could educate us. I understand Mr Thompson to have come from a prominent Textile and Brewing Family in Bradford. He donated much of the cost of the building of Guiseley and Yeadon Town Halls, his family crest can be seen above the entrance to both buildings. He was Lord Mayor of Bradford in the days when this was a real honour, as Bradford was as prosperous as anywhere in the country in those days. I think I am correct in stating that he was also instrumental in the building of Bradford Town Hall, and in fact one of the bells is named Matthew William. Also Chairman of the Midland Railway Company he instigated the construction of the Midland Hotel in Bradford which was the Companies northern showpiece at the time. I believe Hollins Hall (now a Hotel) was the home of Matthew’s son. A remarkable man without question, who had acheived so much at the time of his death. There’s still some of the remains (bits of columns) lying in the undergrowth near the stream.